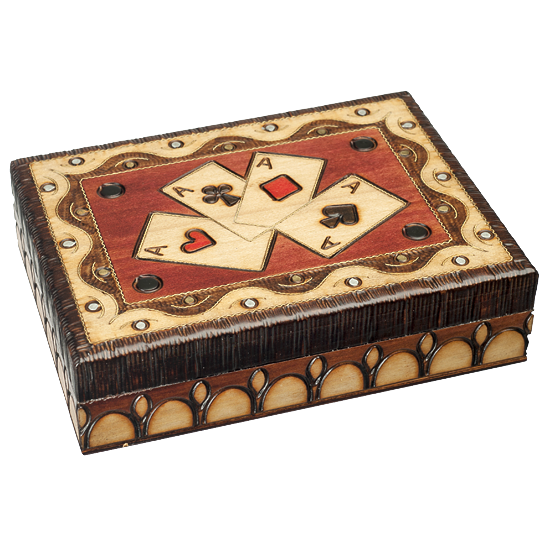 Traditional playing card box with 4 Aces. Complex use of curved brass inlay. Border and trim of top lid are comprised of hundreds of hand burned vertical strokes, presenting a decorative structure with an organic touch. Division panel inside, holds two standard decks of cards.